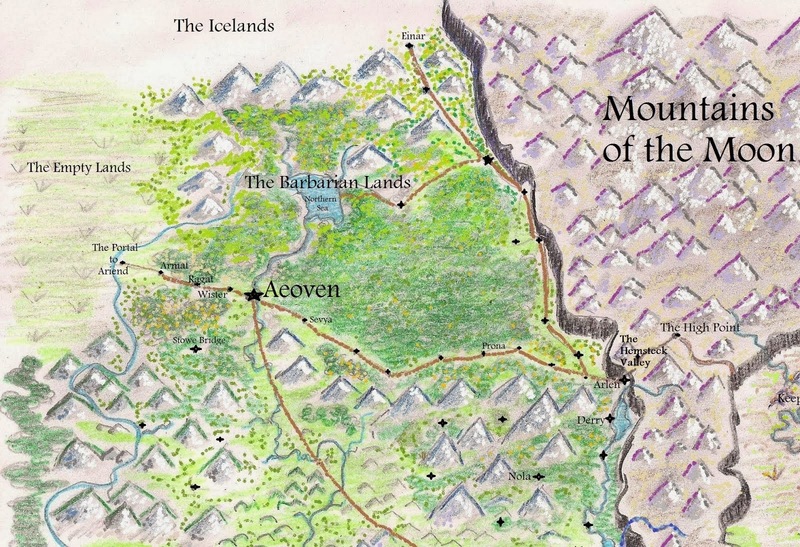 Work is progressing on the Mountains of the the Moon, the prequel to Tower of Bones. The editing has begun on the first chapters, and the writing of the final chapters is being finished as we speak. 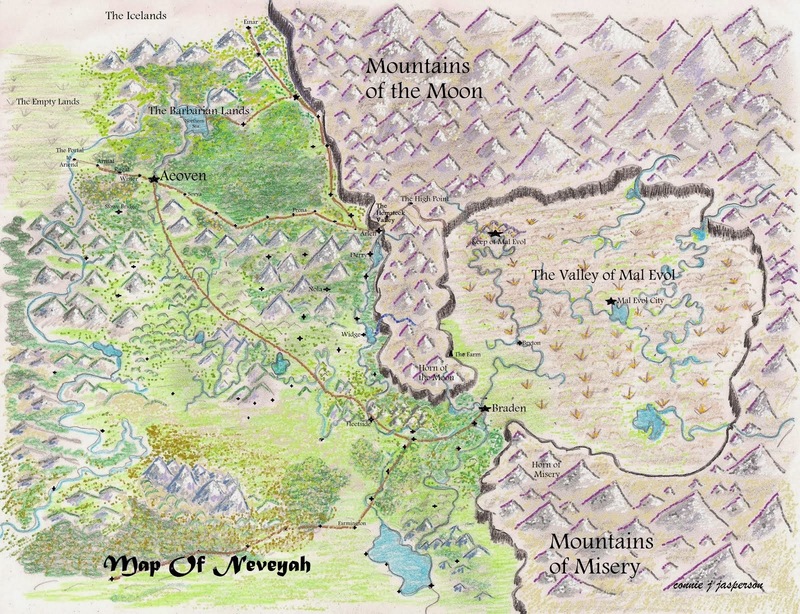 We've found the art for the cover, and will be revamping the original Map of Neveyah for the whole series when Mountains of the Moon is published. 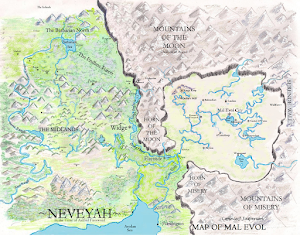 New maps have been begun as well as expanded appendices. 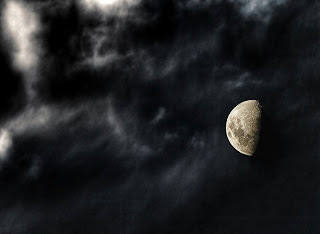 Mountains of the Moon is Wynn Farmer's story. A reluctant hero, this the tale of Wynn's adventures with Rall Ivarsson, who, at the time of Tower of Bones is the elderly, beloved and respected leader of the Temple of Aeos. Wynn and Rall go questing along with Jules Brendsson, and Devyn D'Mal. I confess I've fallen in love with these men! Wynn Farmer was one of the more interesting characters to write, as were his companions. 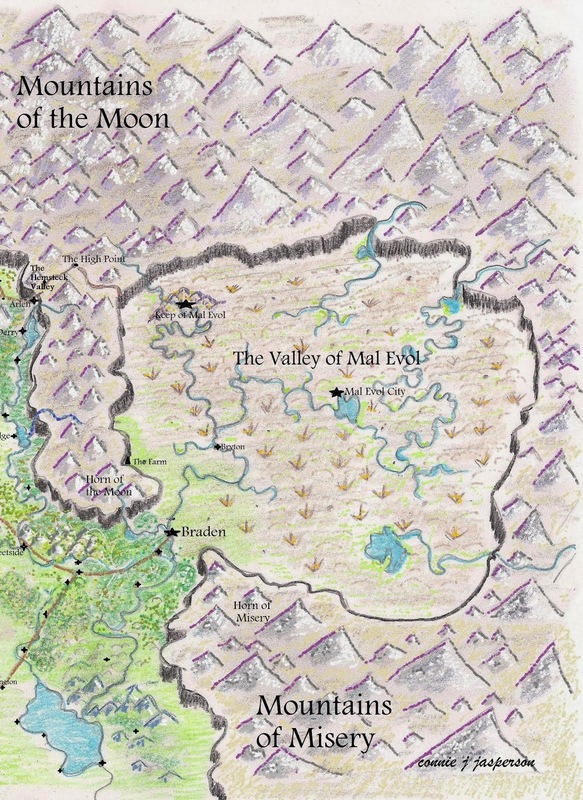 Mountains of the Moon is in many ways a comedy and takes place in a happier time, when the Lords of D'Mal still ruled the Valley of Mal Evol with kindness and love for the land and the people. 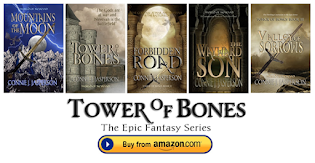 The events foreshadow much of what occurs in the Tower of Bones series, and figure largely in John Farmer's story, which is emerging in the writing of Valley of Sorrows, the third and final book in the Tower of Bones series.